I had a lot of people asking me about time blocking, so I figured I’d cover it in today’s #livinginspiralized feature! But first, a What I Ate Today! A Daily Harvest smoothie – in a bowl! 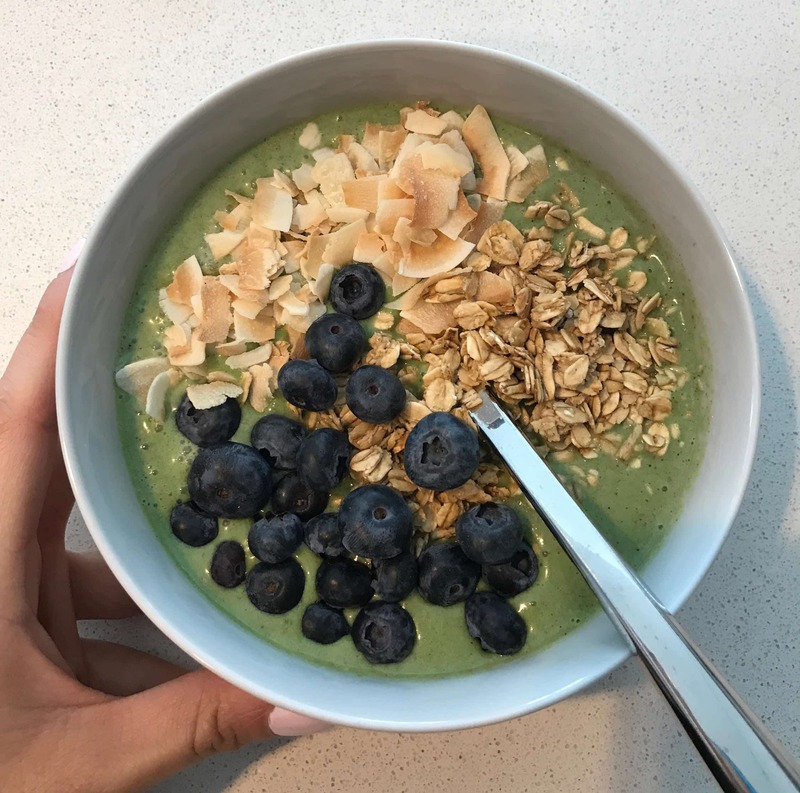 I made the Banana+Greens smoothie (use code INSPIRALIZED when you check out and get three free smoothies – I really recommend them for those busy people out there!) and added Vital Proteins collagen powder and Justin’s almond butter – to amp up the protein and flavor. Topped with organic blueberries, Bob’s Red Mill gluten-free granola, and some toasted coconut flakes. I had a KIND Breakfast Bar – I’m obsessed with their new flavors (Almond Butter is my favorite). 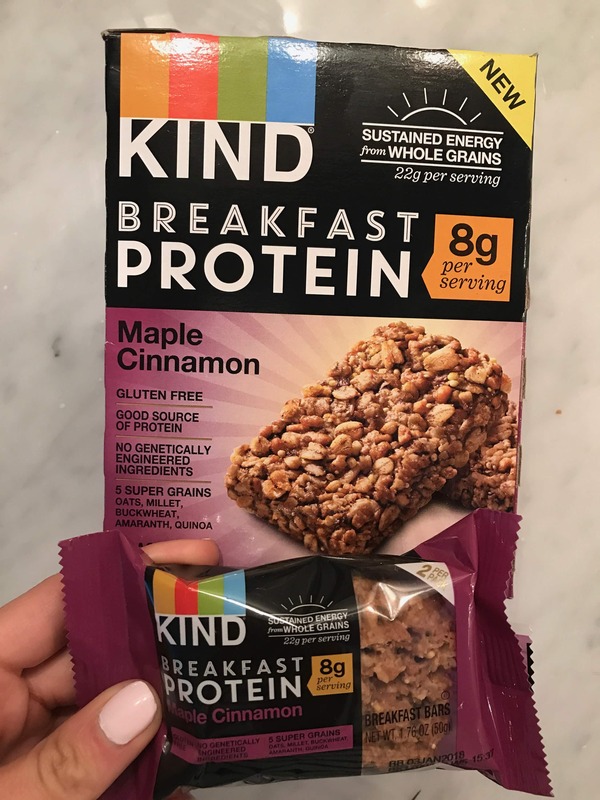 I had the Maple Cinnamon one, because that’s all I had left – it has 8g of protein and is made of great ingredients. It always fuels me when I need it – and it has a subtle sweetness that satisfies that craving. I had saved leftovers from the night before and it looked like a big bowl of mush when I took a photo, so instead, here’s the photo of my dinner (I reheated the meal!) 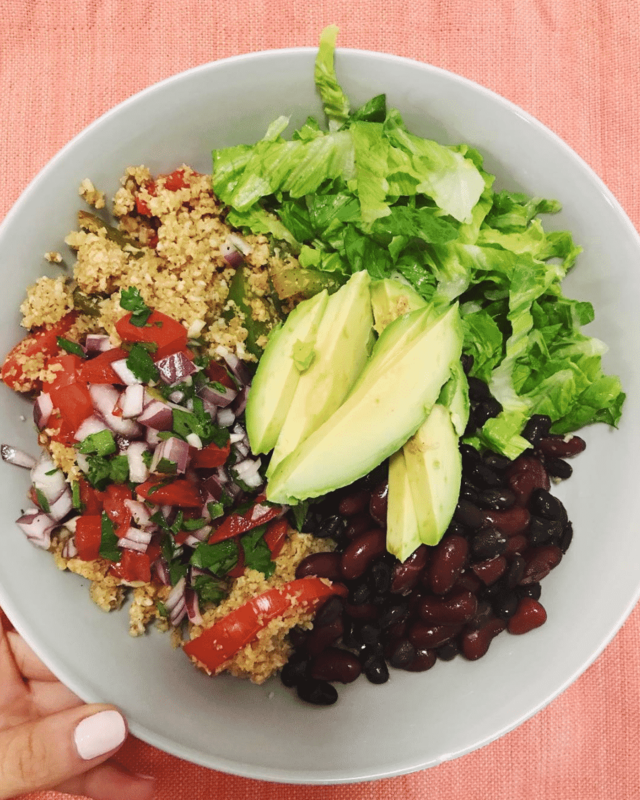 It’s a Vegetarian Burrito Bowl – with bell pepper cauliflower rice, a homemade pico de gallo, romaine lettuce, avocado, and a black bean-pinto bean mix. DELICIOUS. 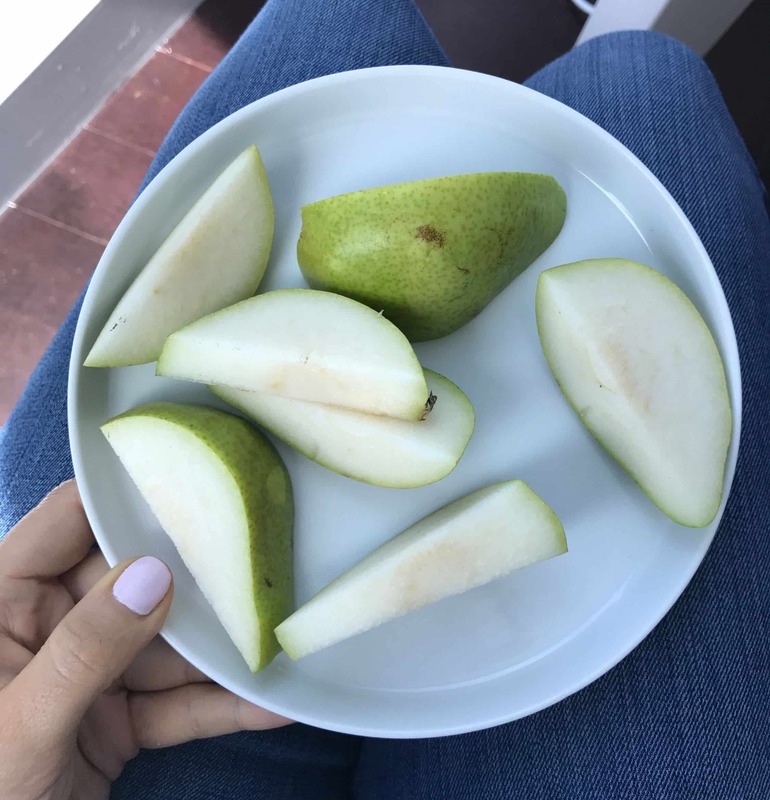 Had my usual raw nut mixture (cashews, almonds, pecans, walnuts) with a pear. I had a few handfuls of Veggie Stix and about 1/2 cup of Lu’s Halo Top birthday cake ice cream (he’s been loving the stuff and I always steal a few bites – the ingredients actually aren’t terrible, especially compared to some other ice cream brands out there.) It was definitely a mindless munch, and I forgot to take a photo! Time is our most valuable asset. With the proper management of our time, we can get anything done! I truly, really believe that. One of the business gurus I follow, Gary Vaynerchuk, constantly talks about how people aren’t using their time effectively and thus, aren’t achieving their dreams or their potential. Instead of spending 1 hour each night on a business plan, for example, they’re watching television, playing video games, or scrolling mindlessly on Instagram. OR, if you are a productive person, you may be trying to accomplish a task, but not even knowing it, you’re also trying to do 3 other tasks at that same time and thus, getting that original task done is taking THREE times as long! If you time blocked, the tasks would be done in 1/3 of the time and it would leave that extra time to complete other tasks as well. Voila – you’re more productive! So how can we better manage our time and make sure we’re making the most of it? TIME BLOCKING. How do you time block? Then, prioritize this list. Pick a certain number that’s attainable (I like to select 5, it seems realistic) and mark those tasks as priorities. By marking them, this means that you MUST get these tasks done in the day – everything else is just an added bonus if you get to it. Now for me, I set those 5 tasks as priorities and then I give myself an additional 2 priorities on my personal list – so, a total of 7 tasks per day for me. *Note: I always time block e-mail responding, but it’s never on my “priority list”, because it’s something I do everyday regardless of what tasks I have to accomplish each day. Now that you know exactly what you need to accomplish for the day, it’s time to set aside adequate time to accomplish those tasks. And no, this doesn’t just mean saying, “Okay, I’m going to spend 20 minutes today cleaning.” It means actively scheduling the time in your calendar and setting alerts in your calendar to let you know when it’s time to start. I like to set times for everything in my day, so the time blocking flows more. You’ll see the schedule below. VERY IMPORTANT: I also recommend not time blocking for more than 2-3 hours at a time, because the more time you time block, the more ‘liberal’ you’ll be with your time. “But I have 3 hours to do this tasks, it’s okay if I just check Instagram for a few minutes!” NO. Be realistic about your time blocks. If you know it’ll only take 20 minutes to do something, don’t allot 1 hour to that task – and if the project is much larger than time blocking can afford, break it up into segments. For example, when I’m writing a cookbook, I set 1 hour time blocks 4 hours a day to write – just for writing. But, they’re spread out, so I know I only have a limited amount of time and it’s a feasible amount of time to be zoned in and unplugged from everything else. Schedule the actual time in “blocks.” Your alerts should simply say, “CLEAN THE OFFICE” – exactly what the task is, and you should take no more than 3-5 minutes to wrap up what you were working on and start the next time block. If you let 10-15 minutes pass by as you finish up an e-mail or whatever, that time adds up to hours throughout the day. Be mindful! Now, if you don’t use an actual calendar (who are you?! ), then write it down on a piece of paper and then manually set the individual alerts in your smart phone. At the end of the day (7:45pm), I have time to just relax with Lu, and I know that I’ve had a very, very productive day. If anything ends up coming up, of course, I have to adjust my schedule, but since it’s all in my calendar, it’s easy to adjust and move around. What’s great about using a calendar is that you don’t even really NEED a to-do list, because your calendar alerts you when it’s time to move on to the next task. So, if I finish a task early, for example, I’ll check some social media messages, respond to e-mails, etc. This is the hardest part about time blocking, and I still struggle with it, because I am a self-proclaimed master of multi-tasking. But, no matter what, multi-tasking isn’t the most efficient way to finish a task. Time blocking WILL NOT WORK unless you actually BLOCK off the time. That’s why it’s called time BLOCKING. Imagine you’re inside a block and you can’t get out. During that time, put away all your distractions – close out all other browser tabs, put your phone a comfortable but just-far-enough distance away so you’re not tempted to use it. Do not do anything else but the task at hand. Some things you may not realize that add up are texting, checking the news, checking your Facebook feed, reading e-mails, Gchatting, checking how many likes your photo got on Instagram, or making a snack. The first time you try to time block, you’ll make the mistake of not truly shutting yourself off from the outside world. It’s tough, because our minds race like crazy and we’re so connected. My advice is to make your workspace as prepared as possible – load up on a snack, water, tea, a blanket, whatever it is that you’d usually get up for. Have it all there and ready, so you have no excuses. You will be amazed at how productive you are after a successful day of time blocking. It’s truly life-changing. On the days that I don’t time block (just because the day gets ahead of me and I get distracted, things come up – it happens! ), I never feel as accomplished, and I always feel anxious or like I’m trying to catch up all day. And if you haven’t color-coded your Google Calendar (or whatever calendar you use), DO IT. It’s the best thing you can do for your sanity. Let me know what you think and if you have any questions – leave them in the comments! I can’t wait to see all you hustlers out there crushing your dreams, thanks to time blocking! AHH! This is such a big help! I'm taking four summer classes this will help me prioritize assignments/projects to keep me from procrastinating.. LOL Thank you for posting examples of how you time block! Can't wait to try this. So happy to hear this! Good luck! Great post! Thanks for the inspiration.. love the idea of time blocking and can't wait to implement it! This is so smart ! I am a new blogger with a full time job still. Sometimes there are more things I want to do than there are hours in a day and I never feel like I accomplished enough. I also have a sweet little dog and husband that I don't want to completely ignore . Ahhh stress ! I am going to try this ! Krysten, I hope it works well for you - keep in touch! Mallory, I tend to know how long meetings are going to last, and I always buffer 20-30 minutes in there - and I bring a book in case there's extra time or I'll tackle e-mails and social media messages during any 'extra time'. As for calls, yes, I ignore them, unless I know it's something urgent and I'll pick it up. Do your best to not answer those calls! Hi Ali, This post is great! I am curious what you do with unexpected "extra time." For example, I work in a job where I am on and off scheduled calls/meetings frequently and sometimes am left with 10-15 extra minutes, that feel like dead space. I can block out the majority of my time, but I am curious if you have any suggestions for how to make those random "pockets" of time more productive? I'm a big proponent of giving yourself personal extra time to do what makes you happy or relax. If you're reading a book, flip it open and read for 10 minutes. If you have a certain blog you love, read a couple posts. If you want to take a walk to get some fresh air, take a walk. That will help your overall productivity, because you'll always feel refreshed throughout the day. Otherwise, if you really really want to hustle 100%, use those extra 15 minutes to hack away at larger projects. 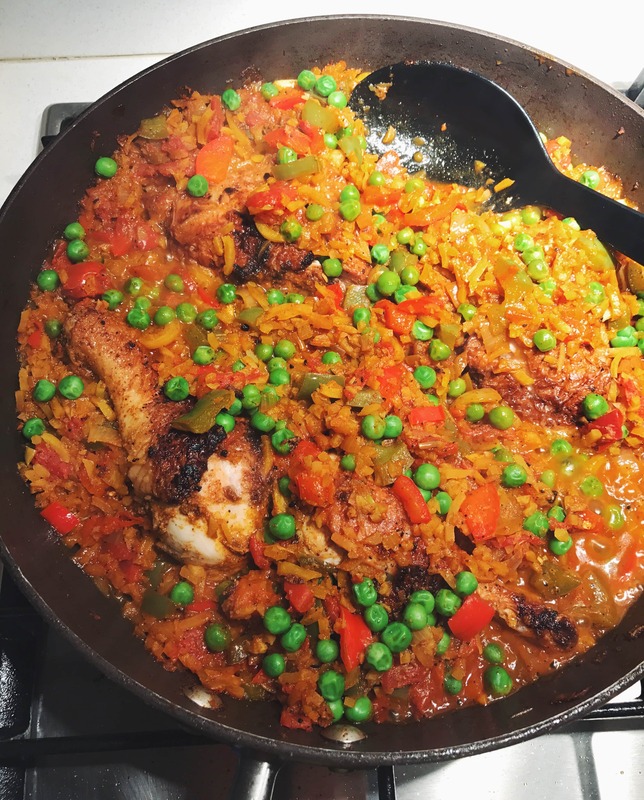 For me, it's writing recipes - whenever I have free time, I'll write a few recipes, for example, for a cookbook manuscript. All those little breaks add up and lead to hours, so you can get a lot done on a big project! Google calendar has a feature now that will help with this. You put in the items you need to do and set up how many times a week or month you want them done and it will remember when you successfully got them done and suggest them again at that time. It's a handy feature. That personally wouldn't work for me, but if it works for you, that's great! Interesting! Well I just discovered I'm already, mostly, a time blocker! But I fail a lot and see a few notable differences I'm going to institute. .... 1) Showering at the end of the day 2) Not alotting more time than necessaryfor each time block. I do end up getting distracted with the extra time. 3) Looking at my time block schedule every night to choose 5-7 that are non negotiable priority. Thank you so much! So happy to hear you're going to be improving your time blocking! Thank you for posting this!! I'm a scatter brained multi-tasker/easily distracted spontaneous person that dreams of being more focused and successful with time management. Would you mind sharing a screenshot of how you color code your calendar (if it's not too personal)..do you just color code business vs personal? or important tasks vs non? Thank you for posting this!! I'm a scatter brained multi-tasker/easily distracted spontaneous person that dreams of being more focused and successful with time management. Would you mind sharing a screenshot of how you color code your calendar (if it's not too personal)..do you just color code business vs personal? or important tasks vs non? Thanks!! Yes, I color code - I color code within my business activity and then I have one set code for personal. For example, 'Work Call' has a different color than 'Work Event'. Loved this Ali! I like to think that I'm good at multi-tasking, but I'm actually horrible at it - and always get distracted by the tiniest of things (which is REALLY easy when you work from home). I have done a bit of time-blocking in the past, but have never really stuck with it and actually scheduled the time blocks into my phone. Definitely going to implement this and see how it goes! It's always good to have a refresher! Thanks Laura! Thanks for the tips! I'm going to look into Gary Vaynerchuk, and see if i can share any of the tips with my husband who is always complaining that there isn't enough time in the day (i think there is always plenty of time!). i'm not exactly a time blocker (yet!) but one of the things that i do: if i'm working on a super mundane task, like a spreadsheet, i'll consciously say to myself "ok, i'll work on this until 3:00 and then i can take a break." if i don't give myself an exact time, i tend to get bored around 2:40 and make up excuses to procrastinate and get up for a snack or chat with someone in the office, and waste a lot of time. if i just push through the last 20mins, i can get a lot more done. I cannot even begin to tell you how ON TIME this post is. I was meaning to discuss your time blocking with my sister after I saw your post about time blocking Pinterest time! So smart. I am a crazy list person. I use my notes on my phone to write out my weekly list and then break it down to daily lists and then when I get to work I have a post it with every single thing outlined by time. Then calendars on calendars on calendars. My schedule has been so hectic and overwhelming and I have so many tasks to accomplish this month in particular that every day I am feeling anxious and like my life is out of control. Sometimes the never ending to do list just cripples me and nothing feels like it gets done. You are so right about being productive by time blocking and even the peace you can just have in just relaxing with your husband at the end of a long and productive day. I am guilty of using every last minute until bed to work on something and sometimes nothing at all is getting done, because I am so tired and giving in to all the distractions like tv, social media, etc. . I am very much inspired by this post and hope to start time blocking a lot more often. Thank you!!!!! Lia, I am so so happy to hear this! Yes, it's so important to have unwind time - our minds go crazy and get anxious when we try to overload. Good luck and keep us posted! This was the only way I was able to finish my graduate thesis while working full-time, with a baby! People always ask me how I did it and I tell them that I had to plan out every minute of the day. Color coded Google calendar is my favorite organizational tool for work and life. Great tips Ali. My biggest issues with working for myself is productivity and staying accountable to the tasks at hand. I am going to give your tips a try!! I hope they help, Miranda! This is a great post. I have time-blocked before, but have gotten away from it. Truly inspired now to go back to it and improving on my old habits! Thank you!!! Thank YOU, Barbi! Good luck! Nice post. Where did you find those Maple Cinnamon Kind Bars? I don't see them on the Kind website or on Target.com. They JUST launched them - keep an eye out, they're coming soon! Question about color coding Google Calendar...is there a way to set it up so that certain categories are always certain colors? It seems that I always have to manually select the color which is annoying and time consuming. Google cal tutorial is a GREAT idea! I think your next post should be a "how to" on Google Calendar. I use google calendar but would love to see some tips and tricks you use as you seem to be an expert at it! Great post! This is a great post! I'm a mother of four kids each in sports and music. My husband is deployed half the year and I always feel like I'm playing catch up. Time blocking sounds so productive. Thank you!! Thanks for sharing, Ali! My work schedule varies and I can see how time blocks would be very helpful to keep me on track! Thanks so much Ali. This is so helpful. Do you have a support team that helps with details behind the scenes? If so, Do they work with you in your office or are they virtual? It's just me and Meaghan, our Director of Community. She works primarily from Brooklyn (so virtually), but comes over 1-2 times per week to work with me! Thanks for this post. Do you use google calendar on your smart phone ? Yes, but I set everything up on my laptop/Desktop. It just syncs to my phone. The real problem is actually doing things on the list, especially things that you would like to avoid. When it comes to overwhelming tasks, I want to avoid, I "chunk" it into 30 minutes, or even 5 minutes, do that task for 5 minutes. Take a break. You will realize that it is not that bad once you get started. Hi Ali! I read Inspiralized and Alissandrab via RSS reader (Feedly) but lately the posts are not coming through, or a bunch come through at once but delayed. Have you heard this from any other readers? Is there something going on with your settings? Do you find Google Calendar to be a lot more helpful for blocking time than Apples's iCal? Do you color-code according to the specific activity or just whether it's Personal, Business, Family, etc.? Thanks! Ali, this is so helpful! I've been looking for ways to get more done during the day; Tried time blocking today and it absolutely worked! Thanks for sharing! Do you set those tasks as events in your google calendar? I started using Evernote google calendar and a regular planner/calendar all together but it's so hard for me to plan calendars like an editorial calendar going bonkers share more tips! You're on top of time management and productivity! This is so helpful. Ever since I became a mom I have been feeling so unproductive on my days off. I continuously make lists and get lost multitasking. I am very excited to implement this. Thank you!! This is so helpful! Do you use an official planner or calendar or do you just keep a notebook?